In My Head Studios: Etsy Twitter Team: Bridal Daze Is Here! 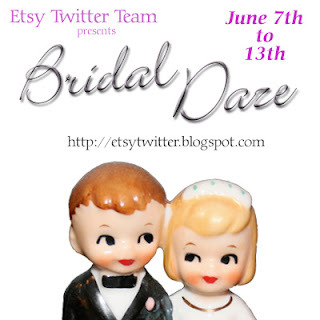 Etsy Twitter Team: Bridal Daze Is Here! 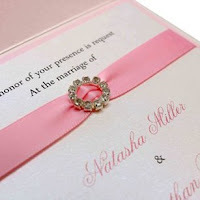 Reposted from my original post at: Etsy Twitter Team: Bridal Daze Is Here! In an effort to cure brides, grooms, and their families and friends of the impending "Bridal Daze" that usually occurs during wedding planning, the Etsy Twitter Team is embarking on a week-long journey to help all those affected by that “glazed over” expression when faced with so many choices. 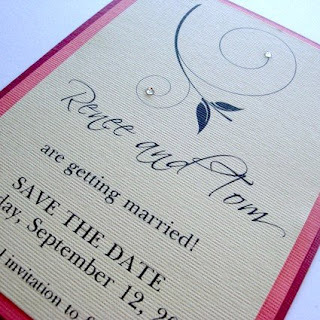 After you have chosen your location and date for the wedding you will need two things: “Save the Date” cards and invitations to the big day. 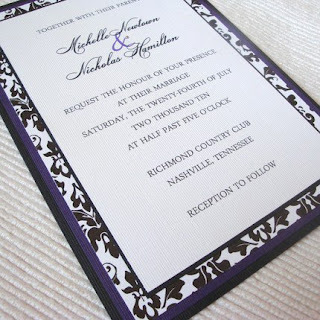 Here are some really great ideas for going handmade for your paper goods!! This shop has many choices for the handmade wedding. 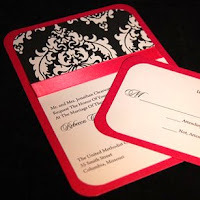 They carry personal stationery and handmade invitations as well as "Save the Date" stamps to create your own cards. 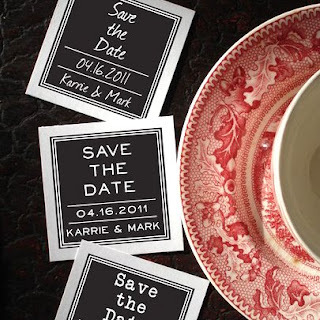 Check out Purple Lemon Designs' Wedding Stamps and Stationery shop section. 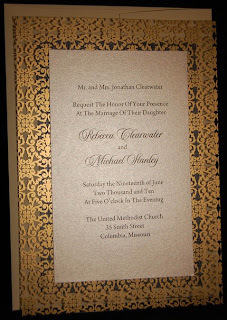 Glitzy Events specializes in customized wedding invitations. 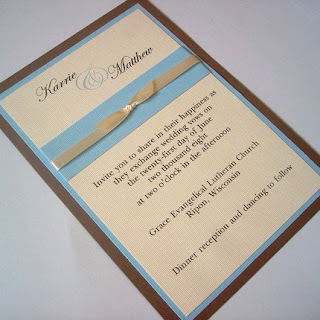 They offer a creative and affordable alternative for your special day. 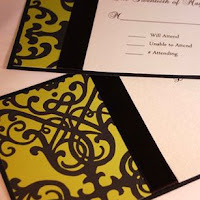 Special offer: 5% off any full invitation order, must mention "Etsy Twitter" to qualify. Refund to be issued via PayPal. 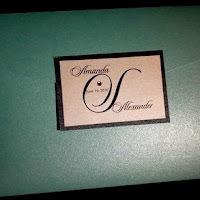 This shop specializes in paper goods for your whole event, from "Save the Date" cards to programs for the ceremony. 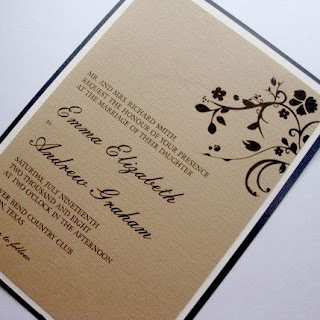 All couples that place their deposit in June to book their wedding stationery for their future date will receive an additional 10% off their entire order. Mention "Etsy Twitter" to receive the discount. 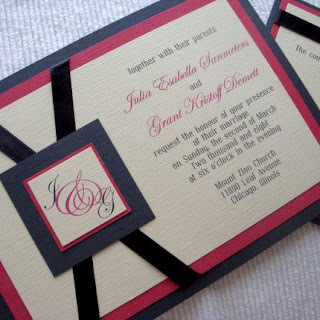 This special is on top of all the regular discounts she offers: if you order 150+ invitation sets you receive 10% off your invitation order and if you order your invitations through her you receive 10% off all additional stationery such as menus and programs. In addition to the invaluable wedding information you will find this week on the Etsy Twitter Team blog, we are having a contest for all of you! Our team members have put together a lovely prize basket that one lucky commenter will win at the end of the week. Some of the prizes include stunning jewelry, a coffee cozy, and shop discount coupons! 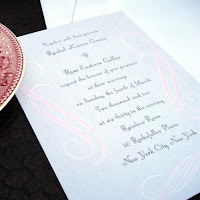 In order to enter you must leave a comment on the blog about Bridal Daze. That comment must include a way to get a hold of you either through your user name link to your blog profile page or if you don’t have a blog you can email your info to etsytwitterteam@gmail.com. (Please be sure to include your comment in the email.) You may enter once per day. No Etsy Twitter Team members are allowed to win. At the end of the week I will draw a random winner from all the comments. 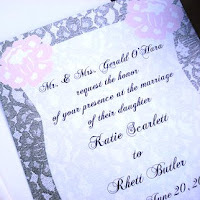 If you know someone who is getting married soon, tell him or her about this contest so they can get in on the action! Good luck! Father's Day Card In My Etsy Shop!